You can add tables to the pages and posts on your website with the help of these Best Table Plugins for WordPress mentioned below. These can also be created using HTML tags but that needs good understanding of HTML language. WordPress is widely recommended for creating website due to the ease of process and minimal dependence on codes. The Table plugins renders the entire process of adding tables to the website quite hassle-free and eliminates the complications of inferring codes. This post lists down the best Table plugins for wordpress. Choose a plugin that is most suitable for your website. A plugin that is useful to one site may be useless to other. Must be compatible with the latest WordPress Version. In order to make your decision process easier, we have listed down 10 best table plugins for wordpress. This plugin enables the user to create tables that are feature-packed, striking and smart and helps them to embed pages, posts, widgets, etc. A short code is generated that you are required to paste whenever you want to add a table. The data of the table can be easily edited on the interface provided. The MCE Table Buttons is a plugin which aids in increasing features to the content editor-the TinyMCE. The features that are added to the editor are table control buttons. 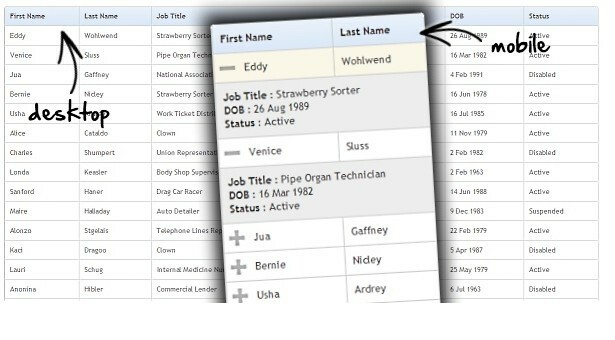 With this you can create tables with header and footer rows, add background images and colours etc. You can create new tables in web pages, widgets and posts with the help of WordPress plugin- the Easy Table. It uses CSV format to develop tables. Easy Table can even read CSV files and display the tables. The Ultimate Table is a WordPress plugin that helps you design, make and even manage tables without HTML code. This plugin also gives you the options such as sorting, searching, filtering, paging, etc. With this you can create multiple tables within a page. This WordPress plugin helps you add tables to website. The added tables are easy, interactive and sortable. 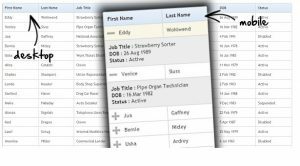 Data from a variety of sources namely CSV, JSON, XML, and Excel can be added. You can show or edit MySQL Table data. It has a responsive design, spread-sheet excel like editing, dynamic charts, advanced per column filtering. The Table Marker is just apt for the websites that require comparison and specification tables to the webpage. It can also add other types of tables. It also has an option to add tables and upload images for being used in the tables. This plugin helps you say goodbye to the scroll bar in your mobile device. Responsive Table plugin helps you convert your tables into responsive tables. With a resolution of less than 767px, you can display mobile view of the table. OSD Simple Table Generator helps you create new table easily and quickly. With the help of some simple tags you can create tables easily. 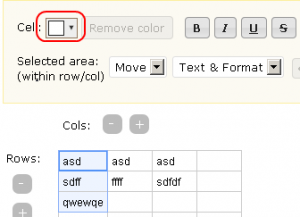 The unique feature of OSD simple table generator is that it is very lightweight. This WordPress plugin helps you create the HTML tables. Colour tables can be created without using codes or shortcodes. With few clicks, the font style and color of tables can be changed. It has 15 pre-defined table styles. With this Table WordPress plugin, creating tables becomes hassle free in the backend. 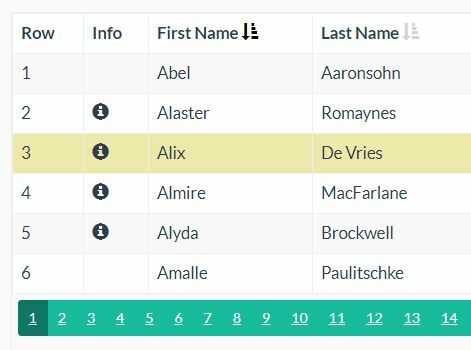 You can create responsive tables without using even a single code line. Presenting date on websites is quite frequent and the various WordPress table plugins eases your task. All the above mentioned plugins are available absolutely free of cost and no charges are taken for downloading and adding to the WordPress theme. You will have to pay in order to use upgraded features. Every enlisted plugin has different features and certain limitations too. It is therefore recommended that you should review the features of every plugin and select the most suitable as per your requirement.